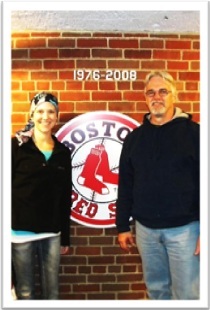 In essence, Amy’s Treat acts as a conduit between the donor and the individual with cancer. A contribution to Amy’s Treat ends up exactly where the donor meant it to be; in the hands of those who need it most. Twenty-five dollars buys a gas card that eliminates the worry of how a patient might get back and forth to treatment; put enough twenty-five dollars together and oil is delivered to warm a house or an outing is funded to renew a spirit. From purchasing dentures to funding drum lessons for a fourteen year old, every need is unique and with your help, Amy’s Treat will work to meet it. Amy’s Treat accepts more than monetary donations. If you have a service or product that you’d like to donate, please contact Amy’s Treat today to find out how you can make a “More Than Cash” Donation that will become the perfect treat for a Seacoast Cancer Patient in need. Here are some suggested items – the beginning of our growing Amy’s Treat Wish List! Don’t see your service or product? Help inspire us to add it to the list and make your special treat happen! Contact Amy’s Treat now! When you make a donation to Amy’s Treat, whether a dollar amount of your choosing, or a specific gift, such as tickets to a sporting event, a paid dinner for two to a local restaurant, or free services such as house cleaning—see our Wish List below—you can be assured that your gift will go to an indvidual or family in need.